Are you having a story book baby shower? 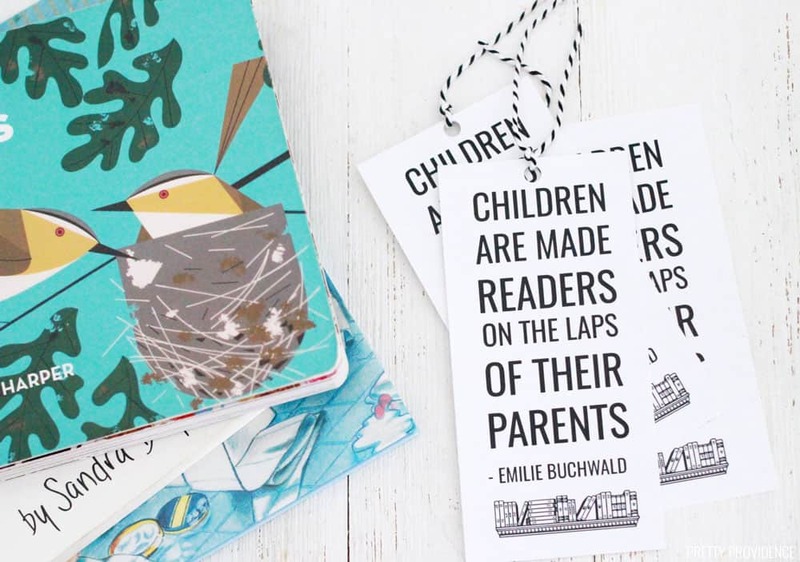 These free printable bookmarks are perfect for baby showers either as party favors or as part of the gift! We love this Emilie Buchwald quote so much. I made these bookmarks for a ‘Once Upon a Time’ themed baby shower. Guests were asked to bring their favorite children’s books as gifts. 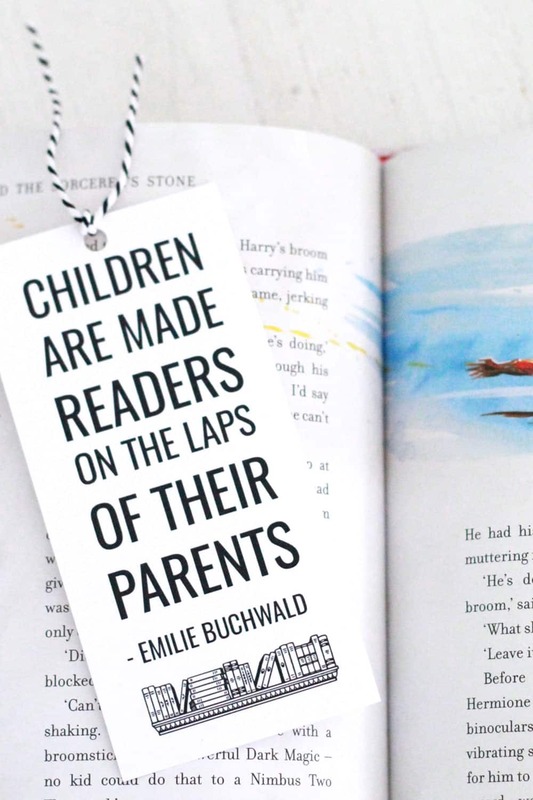 We wanted to make some bookmarks that went with the theme, so I put one of my favorite quotes about reading with kids on it. It’s so sweet! I love using printable favors because they are inexpensive and because they are black and white, you can personalize them to your theme or color scheme easily. Voila! There’s nothing quite as exciting and special as a new little babe entering this world, is there? 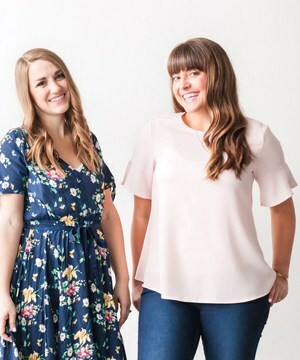 If you’re planning a baby shower, check out our tips for how to throw a baby shower on a budget.